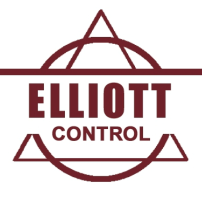 Elliott Control is an established manufacturer and designer of 2300-Volt and 4160-Volt motor and transformer control for industrial applications since 1959. We specialize in Type 230-PM outdoor combination controllers especially designed for outdoor use in Class I, Division 2, hazardous locations and Type 230 a one-high indoor style. Both styles are also available for general purpose locations. Each motor controller is a NEMA Class E2 with a heavy-duty vacuum contactor rated 360-amps continuous, 414-amps service limit, and a 5-kA repetitive load-interrupting rating. To comply with OSHA and other safety standards, the basic designs and many optional features have been reviewed by Underwriters Laboratories (UL). The Type 230-PM controllers are also UL‑listed with many optional features for Division 2 use. Elliott Control products also include Electrical Distribution and Electrical Enclosures.